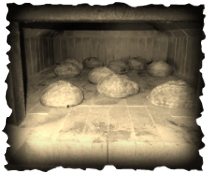 Check out the Breads For The Week page to see whats being baked! Hello, fellow bread lovers!! 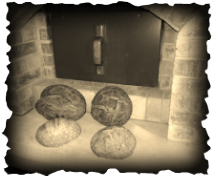 We are so happy to be able to share our love of brick oven baking with all of you. 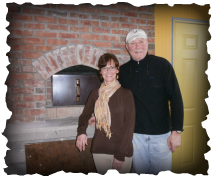 Our first firing six years ago created a passion to start a tradition of brick oven baking that will last forever. Our hearth baked Artisan breads are baked using only non-toxic, organic wheat flours, well water, unrefined sea salt, herbs, honey, seeds, nuts and fruit. The health benefits of eating natural leavened bread are numerous and we would love to share this healthy experience with you! Since the first bake, we, as well as many friends and family have been enjoying the benefits of our all natural breads. We hope to have you join our group and become an all natural leavened bread fan as well.